Debur, clean, or finish the interior diameters of cylinders, tubes, and hydraulic fittings with these bore polishers. 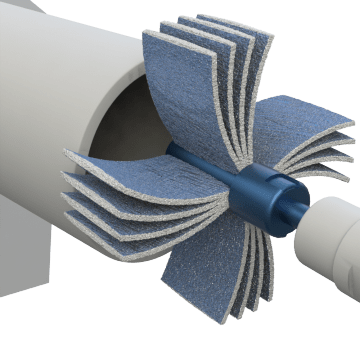 Their flexible flaps adjust to the inside diameter of the workpiece, applying consistent, equal pressure to the entire surface area for an even finish. Fresh abrasive is exposed as these polishers are used, keeping the abrasive sharp for long-lasting use. Attach the polisher to a separate mandrel to use with a compatible grinding tool. 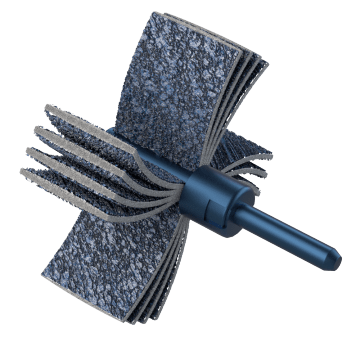 Use these bore polishers with an aluminum-oxide abrasive grit on a variety of metals and wood to grind down and debur material (using lower grit numbers) or to buff out imperfections and scratches (using higher grit numbers). Aluminum oxide provides a balance of toughness and resistance to fracturing, making it a well-rounded choice for most sanding jobs. 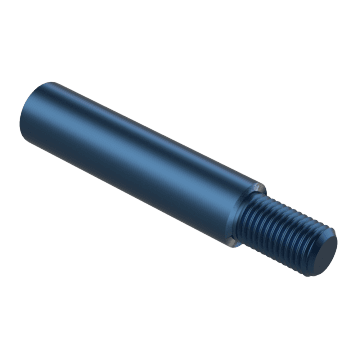 Also known as arbors, these mandrels are required to connect a bore polisher to your drill, die grinder, or other compatible power tools. 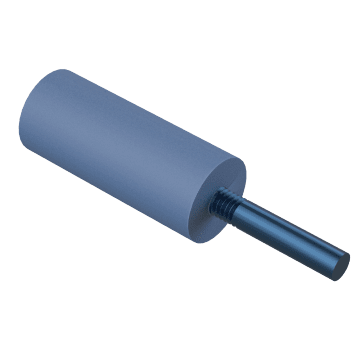 Reach your bore polisher deeper into long cylinders, tubes, and holes than with a standard mandrel using these extenders. Attach an extender to the threaded female end of a compatible mandrel or directly to a bore polisher with a threaded core.